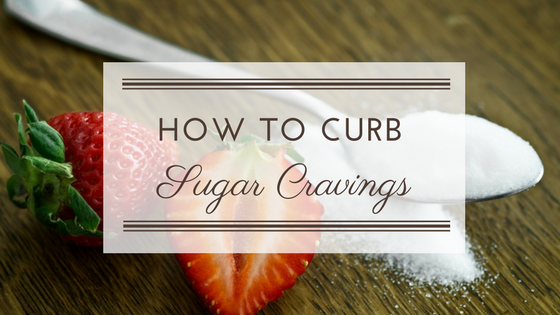 When sugar cravings hit, they can be nearly impossible to suppress. How many times have you tried to stick to a diet, only to be met with an an insatiable desire for something sweet, and found yourself scarfing down a Reese’s peanut butter cup you found in your child’s Halloween candy while they’re at school? If this sounds like you, you’re not alone. Depriving yourself of something makes you want it even more; this idea has been proven by scientists, but it’s also common sense. One of the main reasons people become addicted to sugar is because refined sugar depletes the body of chromium, magnesium, zinc, B vitamins, and manganese, leading to increased cravings. Another reason people crave sugar, Dr. Mark Hyman explains, is biochemical in nature. Sugar has an addictive quality; when you consume sugar, it impairs your dopamine receptors, causing you to build up a “tolerance,” to sugar, so to speak, and making you crave it more each time. The human body needs sugar to function; it regulates your blood sugar levels and is converted into energy that the body needs to survive. However, too much sugar is a bad thing. Natural sugar, glucose, can be found in many foods, such as fruit, but it is added sugar that you need to look out for, which serves no real purpose other than excess energy, and can be detrimental to your health. In addition to causing cavities and weight gain, a buildup of glucose in the pancreas causes a “sugar rush,” followed by a “sugar crash.” The brain responds to too much glucose by producing the chemical serotonin, which makes you tired, and the pancreas responds by producing insulin. Too much insulin will dull the hunger hormone, leptin, causing you to feel hungry and crave more sugar . Essentially, it tricks your body into thinking it’s hungry even if it’s not. Although it can be very difficult to stop craving sugar, it is not impossible. The first thing you can do in transitioning to a low-sugar diet is to substitute other foods to satisfy your cravings. For instance, when you’re craving something sweet, reach for fruit instead, which contains healthy levels of natural glucose and can help combat deficiencies such as carbon, chromium, and sulfur linked with sugar cravings. Next, gradually remove all sugary foods from your house, or (if other household members are not adopting the same diet), make sure they’re stored in a place you will not be tempted to raid during the day. Curbing your sugar cravings will take some hard work and dedication on your part, but your body will thank you for it, making it all worth it in the end!